Where Can the Twins Find Some OBP for Their Lineup? It is well understood (and intuitively obvious) that on-base percentage correlates highly with run-scoring. In fact, looking at this year's MLB results, you'd conclude it simply correlates with winning. Thirteen of the top 14 teams in OBP finished above .500, and 10 made the playoffs. The Twins now find themselves with a dire scarcity of this treasured resource. Where can they acquire it? It wasn't a big surprise when the team non-tendered Robbie Grossman on Friday, nor was it an especially controversial move. But while Minnesota won't miss his lack of power or defensive prowess, they will absolutely miss his on-base proficiency. Among Twins players to make 500+ PA since 2016, Grossman led all with a .377 OBP. The top three guys on that list are gone, and Sano is coming off a 2018 campaign where he posted a .281 mark. Needless to say, the Twins are looking at a real deficiency in the on-base category. Of course they're hoping that rebounds and better health will trigger some improvement, but the fact remains: This is a roster full of free swingers with pop, and right now it is very short on disciplined hitters who can draw a walk. The addition of C.J. Cron, who agreed to terms Friday on a one-year, $4.8 millon deal and appears penciled in at first base, doesn't help in this department. He has a .311 career OBP, and even in his career year of 2018 still struck out four times for every walk. It's a weakness the front office will need to address with its remaining offseason moves. Perusing the Offseason Handbook and beyond, let's take a look at nine free agent options that might help move the needle. This is the kind of player the Twins should have been seeking at first base, in my opinion. With his .853 career OPS against right-handed pitchers, Bour would've been an ideal complement to Tyler Austin (.937 OPS vs. LHP). It's still possible the Twins will seek such an arrangement alongside Cron – also a righty – but that's not likely, which is too bad. In addition to his platooning fit, Bour would bring sorely needed patience to this offensive unit. His BB rates over the past three seasons: 11.8%, 11.0%, 14.6%. His 2018 mark would've led the Twins (Grossman and Mauer included). The two-time All-Star and 2016 NL batting champ is hitting the open market for the first time, and has been popular as a theoretical target for the Twins. 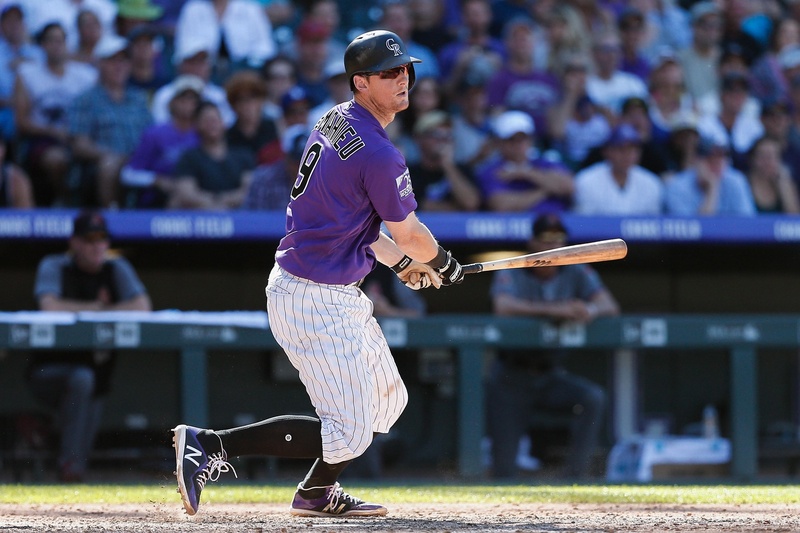 It isn't hard to see why; over the past three years LeMahieu has slashed .309/.369/.429, and that middle number is especially attractive. In the Handbook, we added this caution: "Like many products of Coors Field, there are questions about his offensive numbers translating elsewhere. His career OPS is 160 points lower on the road than at home." If the Twins were to get an OBP closer to his .277 lifetime mark away from Coors, that would obviously not be helpful. I haven't seen Lowrie's name connected to Minnesota in reports yet, but I have to assume we will. He's a switch-hitter who's proven very adept in Oakland over the past two seasons – even making the All-Star team this year. He also turns 35 in April, so he won't require a long-term deal. If Lowrie's late-career surge with the A's (.356 OBP and .804 OPS in 2017-18) can sustain, he's very appealing. If he reverts to his previous form (.326 OBP and .726 OPS from 2008-16), less so. Should the Twins turn their gaze toward the lower end of the second base pool, they could go with Forsythe on a one-year deal and hope he provides some on-base juice to go along with his solid defense. The veteran posted a .359 OBP in 2015 with Tampa, and a .351 mark in 2017 with LA. He also turned in a .356 OBP in 50 games with the Twins after he was acquired this summer. But that figure stood at a .270 when the Dodgers dealt him, and his .327 career OBP is mediocre. Forsythe's bat has also been anemic the last two years: .228 AVG and .309 SLG. The ability to take walks becomes somewhat trivial at that rate. Brantley is past his lengthy bout with shoulder issues and back in All-Star form. This year he played in 143 games for Cleveland and posted a fantastic .309/.364/.468 slash line with a 60-to-48 K/BB ratio. He has a .351 career OBP and has been above that number every year since 2014 (except '16, when he played only 11 games). The problem is that he's a lefty-swinging left fielder, so he doesn't really fit with the roster as currently constructed. The Twins would need to shake things up – say, with an Eddie Rosario trade. The premier slugger brings OBP (.342 career, .362 the past four seasons) as well as prodigious power, averaging 40 home runs since 2015. He'd be more lineup centerpiece than need-filling pickup, but the Twins could seemingly use one of those. That said, as a 38-year-old with zero defensive value and a big payday on the way, he's very unlikely. The uber-durable 13-year veteran is entering the market at an opportune time, coming off his best campaign in years. He played all 162 games for Atlanta, posting a .297/.366/.440 line with a 80-to-62 K/BB ratio, and helping push an upstart young squad to a surprise postseason appearance. Sounds like the kind of guy that Minnesota would really benefit from. Markakis has always been a patient hitter, with a .358 career OBP and 10.2% BB rate. But like Brantley, he's a lefty-swinging corner outfielder. Tough to see how that makes sense on a team with Rosario, Max Kepler and Jake Cave – unless the Twins were to, say, have Kepler split time between right and first, with Markakis splitting between right and DH. We now come to my absolute favorite option on this list (and perhaps on the entire offseason market). McCutchen is a former MVP and five time All-Star hitting the market at age 32. In recent years he hasn't been quite the same top-tier superstar, averaging 2.5 WAR the last three seasons compared to 6.9 from 2011 through 2015, but that'll keep his price tag reasonable and he's still a damn fine player. He has a .378 OBP and has been at or above .363 in nine of 10 MLB seasons. His 12.0% career BB rate is higher than Mauer's. Rotating his right-handed bat with the lefty-swinging corner outfielders and at DH would give McCutchen a regular role. He'd be an excellent leadoff guy. You want OBP? Here's a .388 career OBP and the game's second-highest BB rate since 2015, just sitting there for the taking. How fortuitous! I'm sure he won't cost all the much either. Nope, very affordable and plausible. Who on this list would you like to see the Twins pursue? Are there other OBP-focused additions you'd be targeting? No doubt that we’re in need of two high OBP guys, but I don’t want the very same empty OBP that both Mauer and Grossman provided. What we need are guys who not only get on-base, but can hit the ball with some authority, which is why I’m still holding out hope that the FO can come to their senses and sign both Cruz and Lowrie. The Twins did not fill any holes in the line up with Cron. Cron is a fine upgrade over Austin against right handed pitching and comparable against left handed pitching but he does not reduce the need for a player like Bour. If the Twins are thinking that a lineup with Cron and Austin against right handed pitching is a good lineup, we need new leaders doing the thinking. Unless they get three OBP players that are really good, they need more power. One OBP guy doesn't help. There was a study a few years so that showed adding one OBP player to a bad team didn't help as adding another low OBP with power. And yes, I don't get the Cron desk either. Lets work on our own hitters. Forget the launch angle and start working on the contact skill and an eye for the strike zone.The players listed will not lift the team.This is a challenge and it is an important one, but we have to hope our new gurus fix it internally. I like both the McCutchen and Markakis options. In addition to OBP contributions they would replace some of the veteran leadership lost with Mauer, Dozier, and Escobar leaving. MLBTR predicts McCutchen (and Brantley, FWIW) get 3 years/$45 million. I would be just fine with McCutchen as part time corner outfielder, part time DH. Excellent article and a bit depressing about the OBP currently on the team. Hopefully the new regime will help lift it up. I would sign Lowrie and Bour with Austin being traded. What is the fascination of 30+ year old players that will be here only for a short time? Those are the players that only cost money, and not prospects, to get better. What is the alternative? A bad team, and more money in the owner's pocket? I don't mind looking at Bour....but then we basically have to waive Austin. If we have a chance to get Harper, we should take it.Period.He makes all our pitchers better.We have the room to do it with Mauer out of the payroll.I have never wanted a "superstar" free agent, until Harper. If we have a chance to get Harper, we should take it. Period. He makes all our pitchers better. We have the room to do it with Mauer out of the payroll. I have never wanted a "superstar" free agent, until Harper. How does Harper make our pitchers better? No question, Nick, the Twins need to get more guys on base.Don't have a clue how they plan to accomplish that.Expect we won't know until we get past opening day.Hopefully, most of the starters work to do that more frequently in 2019. I start with the premise that the success in 2019 is predicated on Sano AND Buxton both improving their production to match their talent. I really believe that without this, the season is pretty much lost, even with moves that most of us would consider satisfactory. So, aside from two premium RP's off a loaded FA list, I'd be perfectly content if they signed Cutch, Bour and Lowrie as placeholders until guys like Kirilloff, Lewis, and maybe Rooker and Gordon are ready. I wouldn't worry about getting more than a low minors flyer for Austin. Getting nothing for him is a nominal setback. For that matter, if a prospect is ready to give you equal or better production, get what you can get for these new pickups the first chance you get. Jim Thome was the only superstar free agent I wanted. We got him and he was great but it was about 10 years later than I wanted. I just said in a different thread that I'd be interested in McCutchen or take on another Mariners salary dump to get Mitch Hanigar. With Seattle rebuilding I assume they may further shop newly acquired Carlos Santana? Those two could sure swing the OBP scale quite a bit. Ordering Buck to bunt would be a start. The Twins are probably relying on a bunch of obp coming from players already on the roster. Buxton's 2017 started so impossibly bad but he hit .274/.335/.448 from the end of April on. That would be a big improvement over last year's CFers who posted a .293 OBP. Twins are probably hoping that Sano gets back to the .350 OBP guy he was his first three years with us. Kepler has pretty good walk rates (and power, too) but his babip is criminally low. If he can get his babip closer to .300, his OBP will look pretty respectable. But, realistically, the Twins are building the offense around these guys and these guys need to step up, like Polanco and Rosario have. They can make some moves around the margins but unless they are going to spend more than the Pohlad's have ever indicated before, the significant change is going to be with those three guys. Also, I think we should sign Cruz to DH. If Rosario could play an average 2B, the Twins could put McCutchen in LF fortwo years, at which time AK will be ready for OF, Lewis will be ready for SS, Sano will be ready for 1B, and Polonco can move to 3B. And if a mouse had wings, he could fly. I was just going to say this. 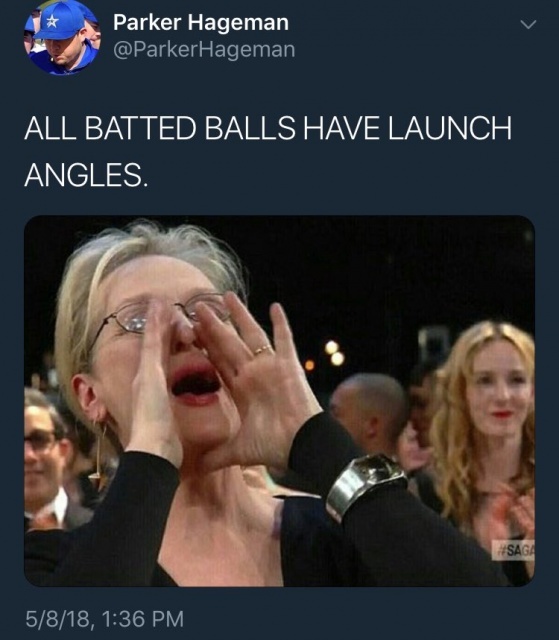 Launch angle and all these new metrics are garbage. They may be fine for power hitters but not for everyone. A little more patience at the plate and hitting the ball where it's pitched to would help. The biggest thing that has killed me lately that the "professional hitters" can't beat a shift. A half swing for a lefty where the 3rd basemen is supposed to play is an easy double. The problem is that one is teachable and one really isn't. You can tweak a guy's swing and try to generate better contact results; you can't exactly tell a guy "be more patient" and watch him take more walks. For the most part, people are who they are as hitters. Didn't they try that when he was in the minors? → Article: Where Can the Twins Find Some OBP for Their Lineup?